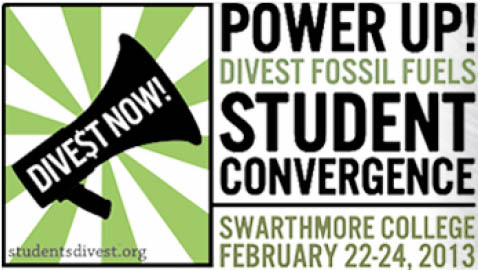 The event is a significant ramping-up of divestment advocacy efforts by MJ, whose leadership on the issue has made headlines in The New York Times and received airtime on CBS. Dinah Dewald ’13, who was also involved in the planning process, wrote in an email, “I would really like to see the Swarthmore community, including students, faculty, administration, and especially the Board of Managers, to be really wowed by the energy and power behind this movement.” The Board of Managers will be having one of their quarterly meetings this weekend. Aronoff said the group as a whole was surprised by the large response. “We were so overwhelmed, but in an overwhelmingly positive way.” Visiting students will be given space to sleep on the floor of the Friends Meeting House.